It still hasn’t quite hit me what’s about to happen in the next three weeks (college, i.e. the beginning of rest of my life), or even in three days! I’ve been telling people that we’ll be going to Europe for a while now, but I still expect something to go terribly wrong. Who knows, our tickets could be ruined, a family member or friend die suddenly, or I could get crushed crossing a road on my way to work. I mean, there are millions of events that could seriously alter whether we get on that plane to Madrid on Wed. I think there might be a part of me that doesn’t want to go too. I mean, sure, this will be an amazing trip, and a dream come true for my mom and little sister, but it also means less time for me to say goodbye to all the people I’ve just started to let myself be, well, myself around. And knowing how well I keep up, they’re also the people I’ll want to call but never will, either because I can’t find the time or I feel I’d be an unwanted interruption, or am just too scared. I’m honestly freaking out about the keeping up with people thing, but that’s a tangent. So what it comes down to is that I’m letting myself get excited, if only just a little bit. Mom and I started going over what sites we’ll be visiting in Paris and Madrid. In Madrid we’ll visit an old Spanish town not far from the city and in Paris we’ll see all the staple touristy spots. 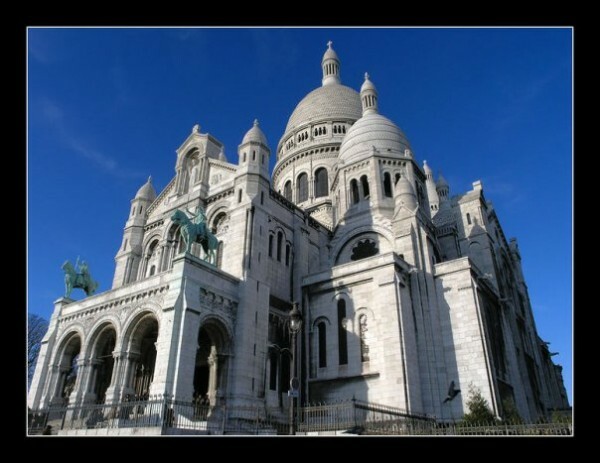 And a little bonus is that our hotel is near Sacre Coeur. I was told by my friend Kenny who recently returned from an amazing trip around Europe that this is quite the ideal location in Paris and affords great views and cafes. So his stories def whet my palate and made me eager to visit Paris. I’m most excited for Montpellier, though. As you all most likely know, I’m crazy about the beach. And plus I’ve always wanted to see the Mediterranean. I’m also glad we’ll finally be able to see [our old neighborhood friends]. I miss that family very much, despite all of my complaints while they were in the US. [The girl] is 10 yrs old now and [the little boy] is 7. Last time I saw him, he was a cute little 3 yr old French boy. And a habitual liar as well, but we don’t talk about that…. Anyways, I’m hoping that we can finish our packing tonight and have our plans locked down also so that I can rest easy and go to my last days of work (Only 2 left!!! Yay (waves hands around)!!!!). Well, I’ll try to call some of you at the airport, or you can call me. Our airplane leaves STL at 12:20 am on WED. for Boston and then off to Madrid and the wild land of Europeans! !